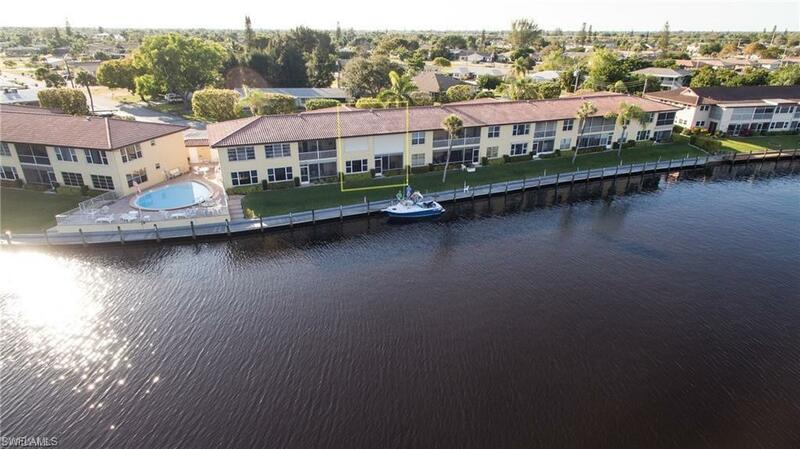 Ground level 2/2 bedroom with vast open views of Bimini basin!! CHECK OUT VIDEO & AERIAL! 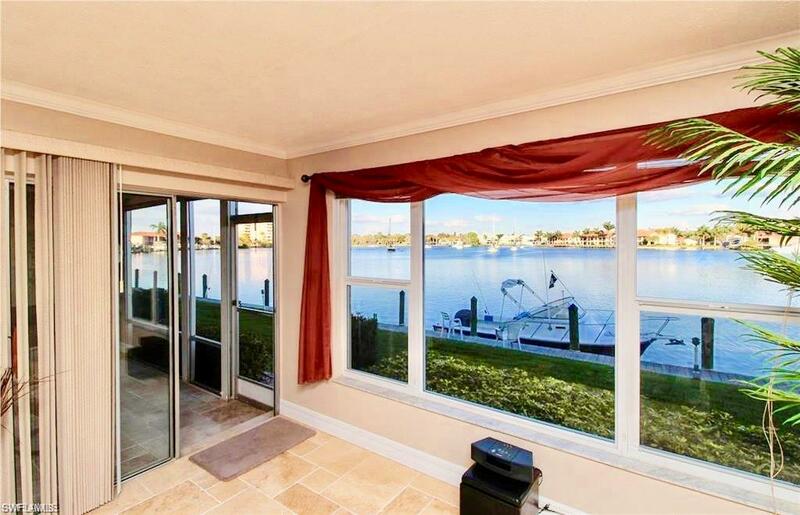 Impact glass windows, totally updated kitchen includes: stainless steel appliances with island and slide outs, travertine stone throughout, indirect LED lighting under custom cabinets, 110 sq. 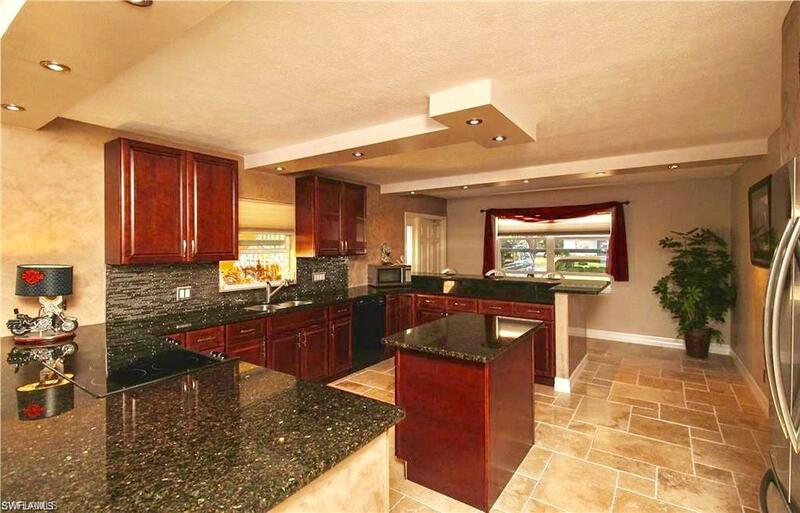 ft of granite countertops, crown molding with 6" base molding throughout, Venetian plastered hand-troweled walls! 500' of dock on property directly on the Basin! Heated pool and much more for that perfect beach or fish getaway! WALK OR BIKE TO RESTAURANTS, SHOPPING, and MORE!! 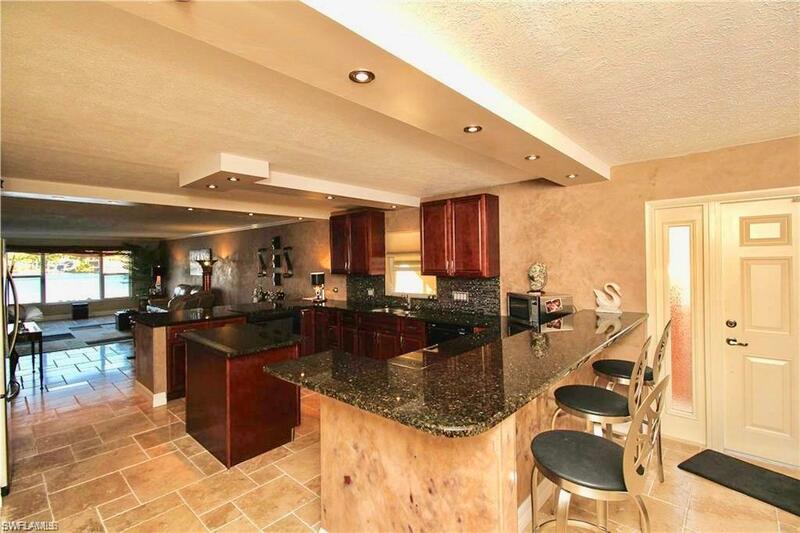 Close to Sanibel, Captiva and Ft.Myers Beaches! Listing courtesy of Mary Stalvey of Re/Max Realty Group.